Watch "I Touch a Red Button Man," set to the NYC band's "Lights," a result of their Coachella partnership. 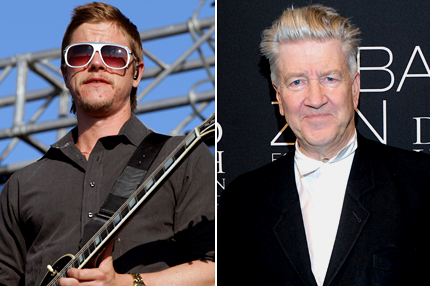 During Interpol’s set at the Coachella festival in April, a short film directed by David Lynch played along with the band’s performance of “Lights,” a song off their self-titled fourth album. Now, the clip has been released on the web. Watch it below. The mostly black-and-white animated short film stars a panicky character based on one of Lynch’s sketches. Bursts of red fill the screen each time he pushes a red button.